People Are Leaving for the Cool New Church! Now What? Seven steps to help us rediscover our passion and stop comparing ourselves to others. In small churches, each member has greater impact. This tends to attract control freaks. But we can deal with them lovingly and effectively. As the world mourns for Paris this weekend, church-goers will look to their pastors to set a tone. This is what I plan to do in church tomorrow. Take a deep breath and read the entire post before you comment. It’s not what you think. A plea from the 90 percent about "that" sermon you preached. The problems most people have with small churches aren’t about size, they’re about sickness. And sickness can happen in churches of any size. As Christians – especially Christian leaders – our criticism should elevate the conversation, not debase it. When we bash churches for becoming big, we fail to recognize the power of the gospel to draw people to Jesus, in both large and small crowds. When things are going badly at the church, it can be hard on the pastor. But it’s often harder on our spouse. I don't want to just participate in conversations – whether they're online or in real life. I want to elevate them. And be elevated by them. 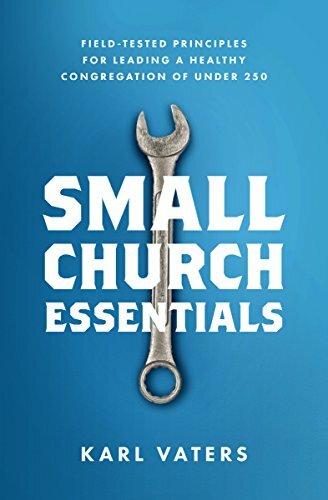 Church leaders need to understand the differences between churches of various sizes. So we can work together, not tear ourselves apart. We don’t need a weak, shallow, moderated response right now. We need a strong, deep and clear response. That’s why we need Christ's love. ...but our unity in Christ is much stronger than our differences in style or method. We need to stop celebrating the Christian shut-down expert. Jesus gave us a better way. After almost 2,000 years of attacks from without and within, the fact that the church continues to not just survive, but thrive is nothing short of a miracle.